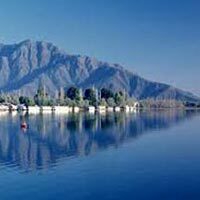 Once you arrive at the Srinagar airport, you will get transferred either to the hotel or to the houseboat. You will get Welcome drink on arriving. Spend the day in doing leisure activities. Overnight stay. Relish a sumptuous breakfast and proceed for sightseeing. You are going to cover the Mughal Gardens, Shalimar Bagh, Chashmi-e Shahi, as well as Nishat Bagh. Post lunch, you are going to enjoy taking a Shikara ride on the extremely popular Dal Lake. Overnight stay. Post breakfast, Leave for a day- trip to Gulmarg (50 kms). On reaching there, enjoy the beautiful scenery. You can also indulge in enjoying a pony ride or a Gondola ride (cable car), from Gulmarg to Khilanmarg. In the evening return back to Srinagar for stay overnight. Post breakfast, leave for a day-trip to Sonmarg (80 kms). You will be mesmerized by the greenery sprinkled around the snow covered mountains. One can also enjoy a pony ride that will take you to Thajiwas Glacier. One can see snow here all around the year. Back to Srinagar for stay overnight. Post breakfast, the entire day book for a visit to Pahalgam (86 kms). 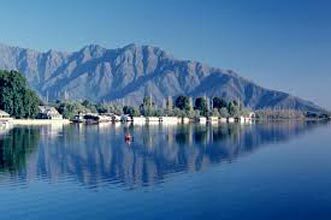 Pahalgam is a beautiful town in state of Jammu and Kashmir, which is quite popular amongst the tourists. Along with visiting the popular spots, you can also enjoy pony ride. Back to Srinagar for stay overnight. Have your breakfast and spend some quite moments. Take a stroll and enjoy the surroundings. Later, get transferred to the airport to board a flight for your onward journey.